Far removed from the medieval altar triptychs of M. Grünewald & Co., the digital age offers easy access to interesting photo sequences. In this case, I sensed that the increasing volume of the laughter I heard from across the schoolyard at this year-end party might lead to some good photo ops. This beautiful woman started dancing as the mood struck her. Sometimes it is difficult to choose which picture you like better. The easy way out might be to offer both, as I have done here. 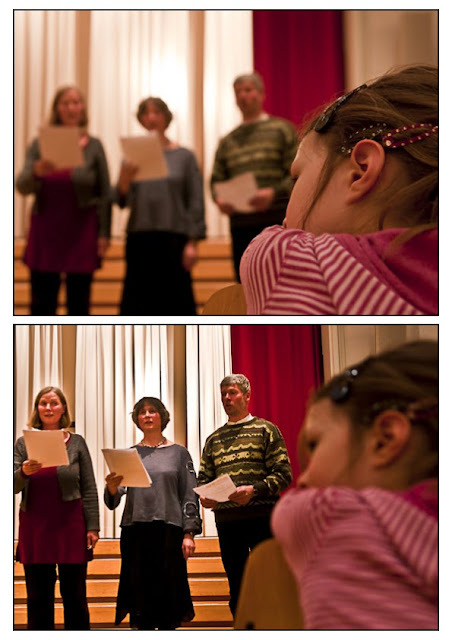 I feel that the first picture shows more empathy for the girl in the foreground since her focus is probably also not on the singers. In the second picture, however, the singer on the left appears to be looking at the girl, bringing her into focus for the observer, too. 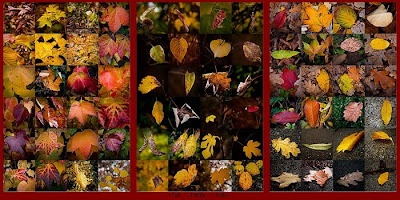 And then there are the more involved - yet perhaps less involving - triptychs which share too much information at once and challenge the viewer to pick a place to rest his or her eyes. Whither does your glance gravitate?